Tap 3 choose between Weather, Step Counter, Step Counter from Google Fit Complications, Chrono, Sunset Sunrise modes. Set complications on watch to Complication 1 Google Fit Stats Steps. Complication 2 Google Fit Stats Distance. Complications ONLY work with Android. 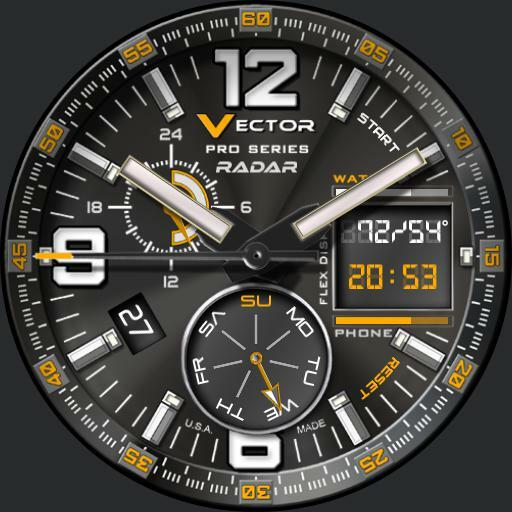 Tap bottom dial for day or compass. Top left dial 24hr time. Tap 6 for dim settings. Tap digital display update weather. Tap center to make hands disappear. Tap 9 for darkness filter. Tap Start Reset to operate chrono.